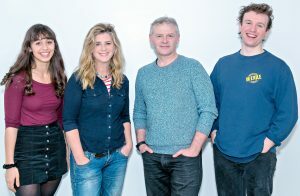 The Be All and End All, premiering at York Theatre Royal next month, is a contemporary drama by award-winning writer Jonathan Lewis that shows a politician’s family in crisis after he makes a life-changing decision to ensure his troubled 18-year-old son has the best possible start in life. What happens to a family when privilege is abused and trust vanishes? When cheating becomes a code to live by and deception a justified means to an end? Directed by Damian Cruden, Jonathan Lewis, appears as the politician who oversteps the mark. 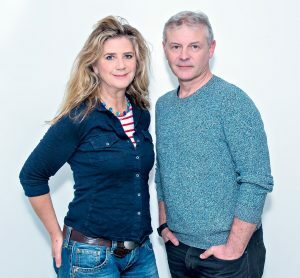 Also starring his partner, Imogen Stubbs, the play will tour to Mercury Theatre Colchester and Windsor Theatre Royal. Matt Whitchurch plays the son Tom with Robyn Cara completes the cast as his girlfriend Frida. 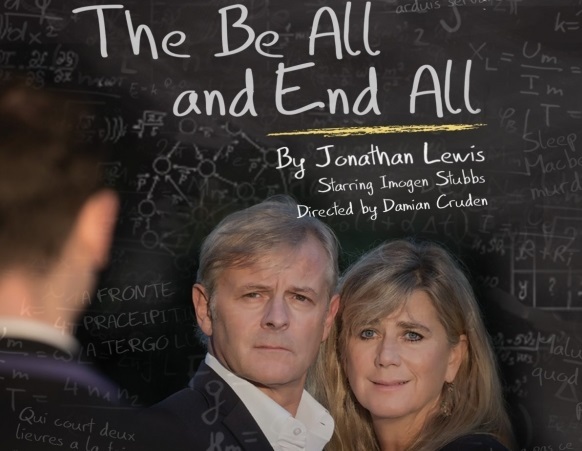 The Be All and End All is the second of three plays Lewis has written in his Education, Education, Education trilogy. The first, A Level Playing Field was staged at London’s Jermyn Street Theatre in 2015 with a cast of school leavers. The third play looks at the situation from a teacher’s viewpoint. Jonathan Lewis told Stage Review: “The idea for the play evolved from a conversation with my son, Abe, after he did his GCSEs. “He went to a school in Hammersmith which is one of these A-star factories, as I call them, where it really is all about the league table position. “I hadn’t quite understood the pressure schoolkids are under. 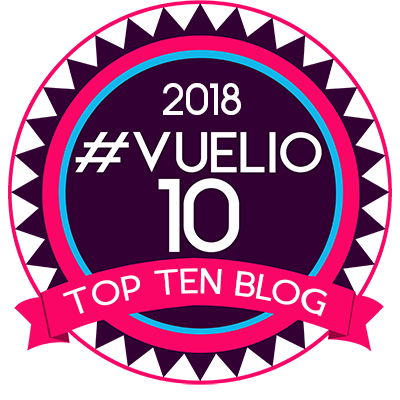 As I started to talk to him about it I realised it was not just him I was interested in but how that affected me and my relationship with my ex-wife and the teacher – and the pressure on them all. “One of the themes is the education system’s obsession with exams and grades. If you try and put numbers around everything you are not telling the whole story. “The education system has been turned into a business and just testing children about what they know”. Lewis’s Education trilogy began when friend and fellow actor, Chris Barton, now head of drama at Westminster School, had brought a group of sixth formers to see a revival of his play, Our Boys, in the West End. “Afterwards he said he’d like to commission me to write a play for the school’s sixth form and I went: ‘That’s just really weird because I’ve just started writing a play for a big group of kids’. “He gave me access to the kids and I went to state schools too because I wanted to get a real mix of experiences. I spent a lot of time with my son who read bits of the play and he’d go: ‘Yeah that works’ or ‘No I don’t believe that’. “Chris loved the play and began rehearsing the production. Then the headmaster banned the play because it was too close to the bone. 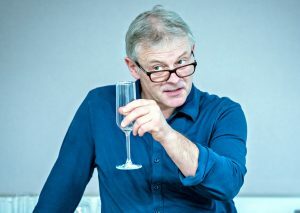 “Chris was determined to put on the play and we staged in at Jermyn Street Theatre ourselves”. Now comes The Be All and End All, the centre play in the trilogy. “While writing A Level Playing Field I realised it was more than one play. It was three plays – from the view of the students, the parents, and the teachers. “We are all under the same kind of stress with education but in different ways. It really boils down to this idea of what you believe education should be. “It seems that education is becoming more and more of a commodity, and it’s becoming about how to get an A star, how to judge people rather than being about a love of learning. “Kids stop being curious when they are forced into a process that is judged. process that is judged. That can never be right. huge and bring someone down. “So I wanted him to be in an area where you could make a difference, like politics. I wanted it to be about a family but I wanted it to be epic as well. “I wanted a fairly domestic setting for a fairly epic theme. It seemed the perfect place to set the play in the family home but to talk about morals and ethics and the idea of what’s right and are you practical and pragmatic? Are the two compatible? “It becomes interesting if you put those ideas about wanting the best for your kids. We all want that but what does that actually mean? If I help my son with a project and that is assessed, does that mean I cheated? “Then you want to know what grade you got because you did the work. So we all become complicit in that and that’s really fertile ground for drama”. 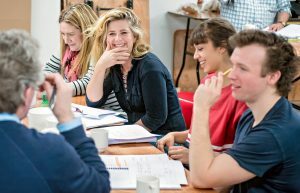 Imogen Stubbs has had a long career on stage and screen. Her recent stage appearances include Frantic Assembly’s Things I Know To Be True, Alphabetical Order and Strangers on a Train. Her other stage work includes Othello, The Rover and Two Noble Kinsmen (RSC), Gertrude in Hamlet (Old Vic), Orpheus Descending and Private Lives (Manchester Royal Exchange). Her films include Lucy Steele in Sense and Sensibility (2015), Twelfth Night and Jack & Sarah. She added: “We had both come through the GCSE experience with our children and formed the sense that the education system doesn’t seem to be working as well as it could be. 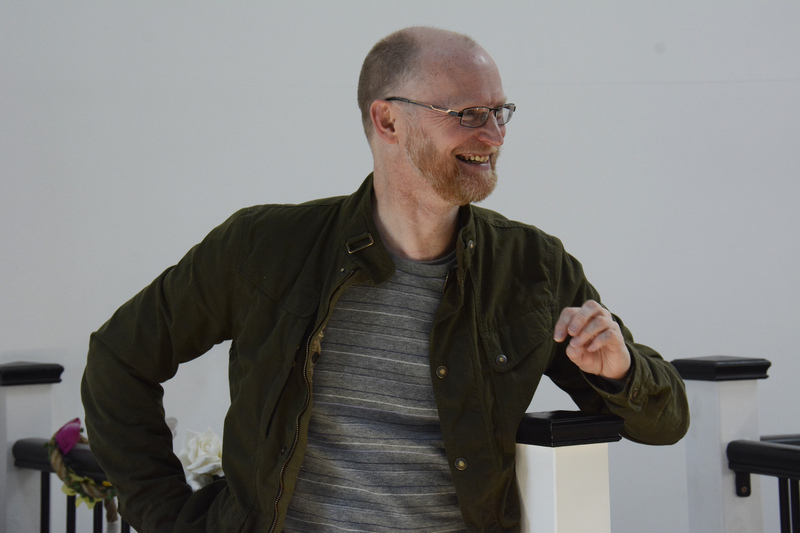 “But the play is about a lot more than the idea that exam results are not the be all and end all – it’s about the implosion of a family during the A-level exam period. It’s funny and scary and provocative. but has also been a liberal mother so being matey while trying to be a parent. And she has been ill.
“Charlotte isn’t a million miles away from me as a character but what really interests me is to explore this subject matter of education and provoke discussion. “There aren’t any easy answers, everyone is doing their best but at what point do we all stop and say no. If we do anything for our children it’s to allow them the possibility of hope and joy and optimism. “We both feel very strongly about the potential damage done by homogenising education that at its worst becomes battery farming, rather than organic. The Be All and End All plays at the York Theatre Royal from May 4 – 19 before touring to Colchester Mercury (May 22 – 26) and Theatre Royal Windsor (May 28 – June 2).